If you like this free game, try Alien Shooter . Winter is hibernation time for insects, but not in our garden! It will be hot here again this winter, and beetles are launching a full-scale offensive against the Christmas trees – on Christmas Eve! All garden dwellers are ready for the defense, and it is up to you to get into the thick of the battle and head the Green Resistance. - 3 difficulty modes. Option to select a difficulty mode for every level. 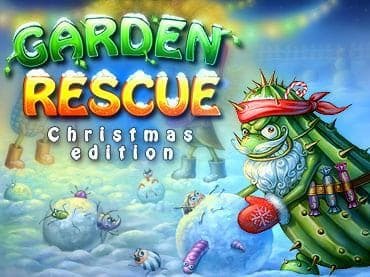 If you have questions about Garden Rescue: Christmas Edition game, please contact us using this form.